Persol 2388 - Gunmetal Need Help? The Persol 2388 is a classic, well proportioned round design that works on both men and women. It features a metal front with acetate temples, Persol's signature supreme arrow metal hinges, and glass lenses providing superb optics. 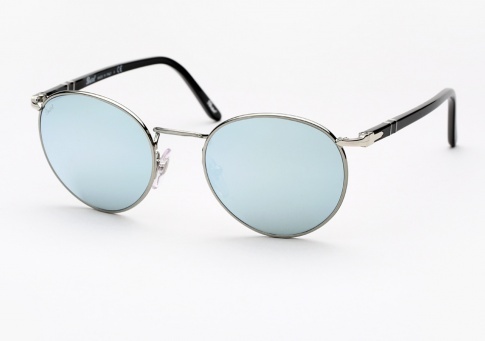 It is offered here in gunmetal with black temples, paired with silver mirrored lenses.